How to go to safe mood in my computer? How to go to safe mood? Safe mood is an alternative way to boot in Windows. Safe mood usually use to change some system settings because of a software crash or failure. Here are some ways we can boot to safe mood easily. 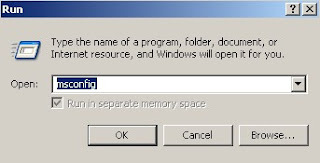 a. keep pressing F8 key on your keyboard when the computer boots, or in black screen before Windows loads. 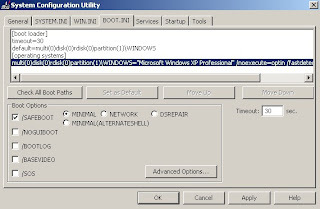 a. type in msconfig into the run dialog box from start menu. c. Select /SAFEBOOT and you can either select minimal boot (which is only load the minimal programe) , network (if you want to connect with LAN) or else. d. After click Apply, a dialog box as below will pop up asking whether you want to restart now. if you want to restart in safe mood now, then click restart now. Else, just click exit without restart. e. after restart, you'll see that it automatically directs you to safe mood. What should i do when my computer hangs?